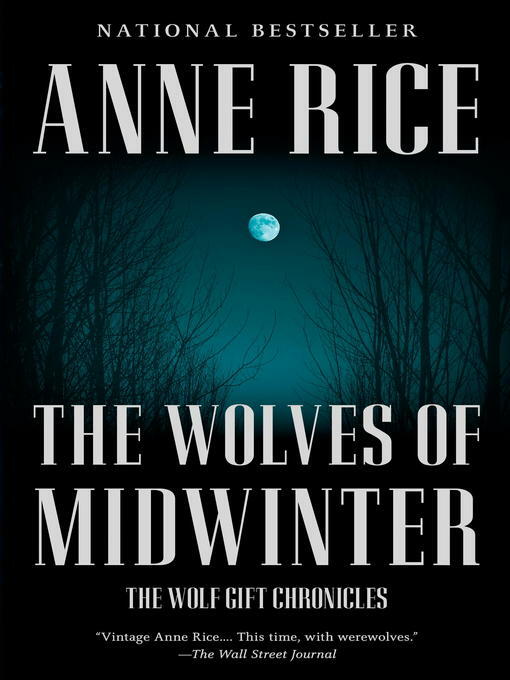 In Anne Rice's surprising and compelling best-selling novel, the first of her strange and mythic imagining of the world of wolfen powers ("I devoured these pages . . . As solid and engaging as anything she has written since her early Vampire Chronicles fiction"—Alan Cheuse, The Boston Globe; "A delectable cocktail of old-fashioned lost-race adventure, shape-shifting, and suspense"—Elizabeth Hand, The Washington Post), readers were spellbound as Rice conjured up a daring new world set against the wild and beckoning California coast. From out of the shadows of Nideck comes a ghost—tormented, imploring, unable to speak yet able to embrace and desire with desperate affection . . . As Reuben finds himself caught up with—and drawn to—the passions and yearnings of this spectral presence, and as the swirl of preparations reaches a fever pitch for the Nideck town Christmas festival of music and pageantry, astonishing secrets are revealed; secrets that tell of a strange netherworld, of spirits other than the Morphenkinder, centuries old, who inhabit the dense stretches of redwood and oak that surround the magnificent house at Nideck Point, "ageless ones" who possess their own fantastical ancient histories and who taunt with their dark magical powers . . .
Look for Anne Rice's new book, Prince Lestat and the Realms of Atlantis, coming November 29, 2016.